I spend a lot of time on Pinterest. I mean A LOT. I love it. It's a neat way to bookmark things that I want to revisit eventually. I have found a ridiculous amount of recipes, craft projects, home decor crap, and nail art on there. 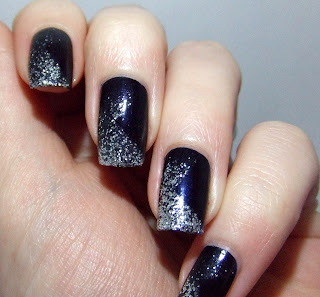 Most recently, I have been looking for inspiration for nail art. I'm trying to go outside my comfort zone when it comes to my nails, though doing so in baby-steps. I recently saw this beautiful Marchesa dress ( I kinda love Marchesa because I LOVE Georgina Chapman on Project Runway Allstars!) and I knew I had to recreate it. 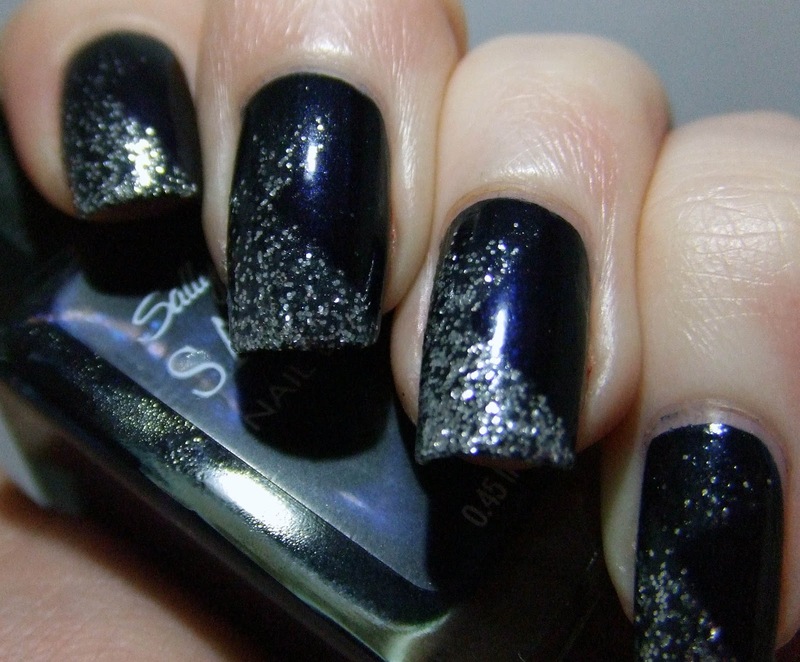 It looked fairly straight forward, just a plain old glitter gradient over navy. I decided to add a little taping action to give it a little something extra. I wanted to suggest the shape of the dress. I'm still not sure about how I feel about the taping. In fact, I actually only did one hand with the tape. I think I prefer it without the tape. the elusive right hand! Poor thing never gets featured. Oh, and Happy End-of-theWorld. I hope your nails are done. 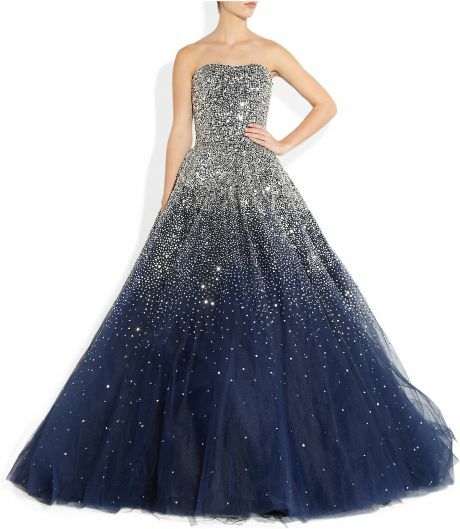 I wish I had somewhere to wear that dress. I think it might be a bit over-the-top for doing laundry at home. ;) I'm still not sure how I feel about the taping. I doubt I will do it again. It looked so pretty without it.